Moscone ran a grassroots mayoral campaign which drew volunteers from organizations like Glide Methodist Memorial Church, Delancey Street (a rehabilitation center for ex-convicts) and the People's Temple which was initially known as a church preaching racial equality and social justice but turned into a fanatic cult. For the rest of his life, Barbagelata maintained that the People's Temple had committed massive election fraud on behalf of Moscone by bussing people in from out of town to vote multiple times under the names of deceased San Francisco residents. 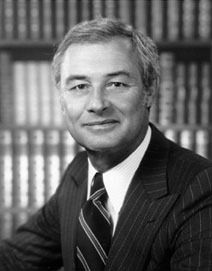 This page is based on the Wikipedia article George Moscone; it is used under the Creative Commons Attribution-ShareAlike 3.0 Unported License (CC-BY-SA). You may redistribute it, verbatim or modified, providing that you comply with the terms of the CC-BY-SA.